You stoop down to pick up a trail of coins. 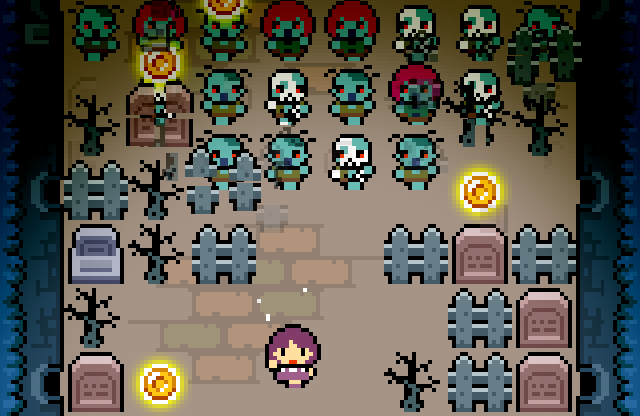 As you stand up, you notice you’ve walked right into a graveyard full of zombies! Cassette Games: Volume 7 is here!